Accessories are the perfect finishing touch to the wearer's outfit. This season, we have seen a lot of trends in the accessories department come and stay and I am loving in particular 3 different ones. 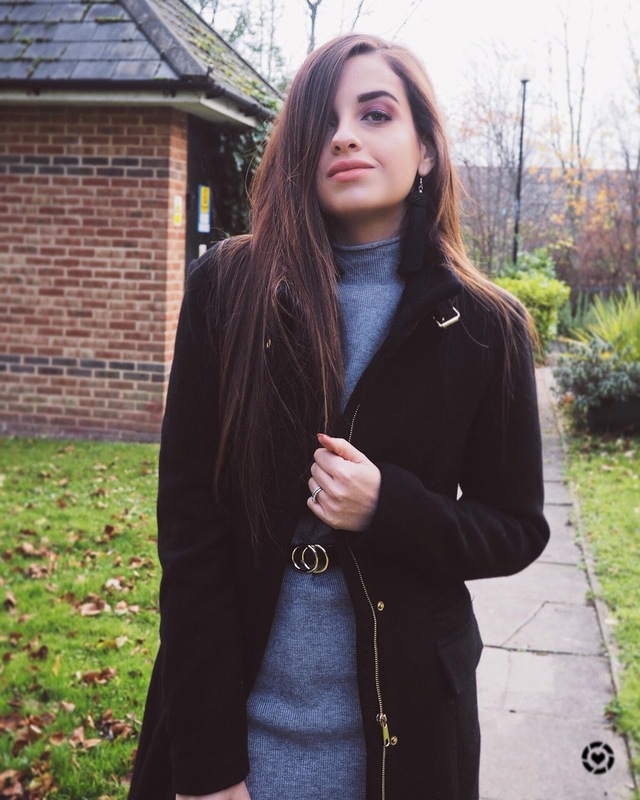 From street style to A-listers, these trends have been everywhere in one shape or another and here are my current favourites, which I can definitely see myself wearing for the many cold months ahead! Your new season party accessory has arrived! Tassels have been in fashion for quite a few seasons now, but the trend has back come in earring form this fall and it is sticking around throughout the party season and all through winter. The earrings can be worn as a bold, stand-alone statement or as a delicate stylish compliment to other accessories. Statement accessories really do elevate a look and a pair of big tassel earrings is just perfect to give your otherwise boring outfit the oomph it needs. These Knot Tassel Earrings* are from LOTD and can be found here in blush (which I WANT!) and here in Mustard. The black ones are sold out but these ones here are equally fab! I love a good hat; it finishes off a look in a way no other accessory can. It exudes confidence and quickly turns your outfit into something fashion-savvy. 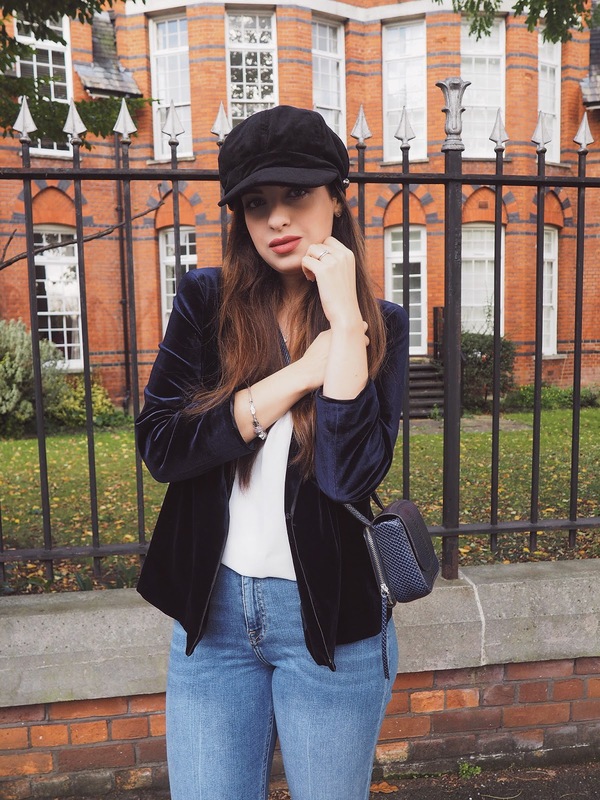 And that is exactly how I feel about the baker boy hats (aka newsboy, page boy, poor boy or fisherman hats), which have risen to popularity this season, thanks to Bella Hadid who has become the biggest champion of this headwear. I can't think of a more stylish hat design that will not only make you look incredibly cool but also keep you warm when the air is chilly outside. Mine is from Matalan available in stores but see below for more shopping options. Tell me, which trend is your favourite? Will you be wearing tassel earrings for the party season? I know I will! Let me know all about it below! Thanks for reading beauties! I really like the tassel earrings but I tend to always wear the same couple of pairs of earrings on repeat, so I'm never that adventurous. These earrings look great on you though, I could see you suiting a red pair too! 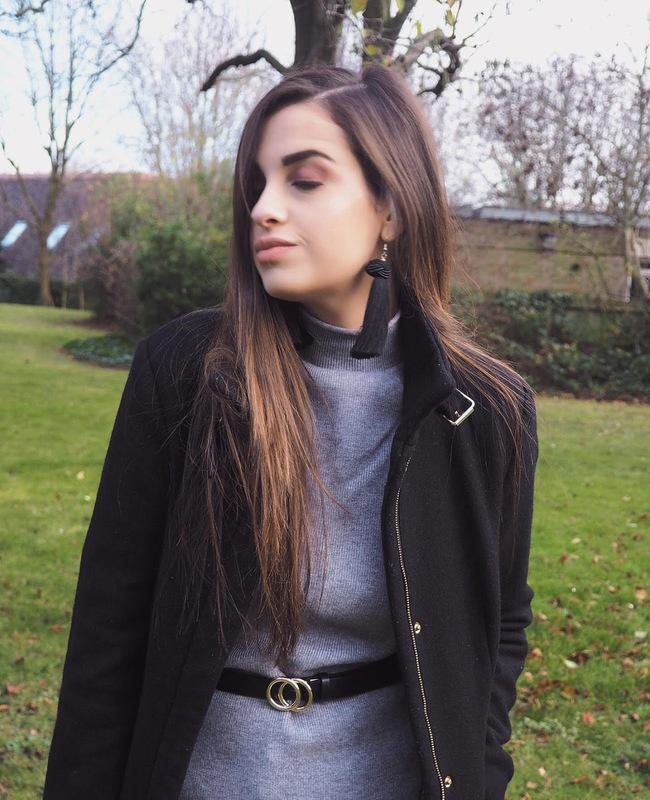 That belt is the perfect dupe, and dare I say I actually prefer it to the original, I don't love the 'Branded' look when it comes to clothes and think the double rings are lovely and subtle! Que maximo essas dicas arrasou, Obrigado pela visita. I've been loving all of these trends. The tassel earrings are my favorite! I like especially this kind of belts and tassel earrings. You look very stylish in these outfits! I do need to invest in a belt, I haven't use one in more than a decade! Great trend ideas, they all look like they would work for a lot of outfits too! I am loving the tassel earring trend right now. I got myself a pair of blue ones from H&M. Can't wait to wear them for my sister-in-law's birthday dinner this month. I loved the 3 accessories! The belt is really so cool and well done for the price! You look amazing, loved all the pictures - your boots are fab! I love tassel earrings and the baker boy hat is so lovely! I confess I have one, but I tuck it into a beret... :o I may wear it like it originally is, it looks so beautiful! Loved it and your pics! Hope you have a beautiful day, dear Pam! The belt looks so beautiful hun! I love your tassel earrings and I love this trend too. Sooo fabulous , love it! It's amazing how a simple and unassuming accessory like the ring belt, can make such a huge difference in the outfit. Btw, you're looking lovely with the dress and coat dear. Great picks! I love especially the hat and your makeup looks great! love love darling you looks so cute & outfit look perfact on you love it. Hey! This is beautiful. Surely want to give a try to this one. The black jacket looks awesome. I am really crazy to try new style all the time. I adore the hat so much but I really don't think I could pull it off! I think I would make it really un-cool! You look stunning, I really loved this post! You have made me want that belt now, it would work with so many bits I own! I love these accessories Pam. The ear rings are very cute. I got a similar one but it didnt look good on me. Merry Christmas and Happy New Year 2018!!! Que linda, Pam, como sempre! O look está maravilhoso, e adorei também a maquilhagem da primeira foto! Hey! This is quite perfect. Surely want to give a try to this outfit. I hope this will give a classy look.